Tags: bib, choker, gold, necklace. 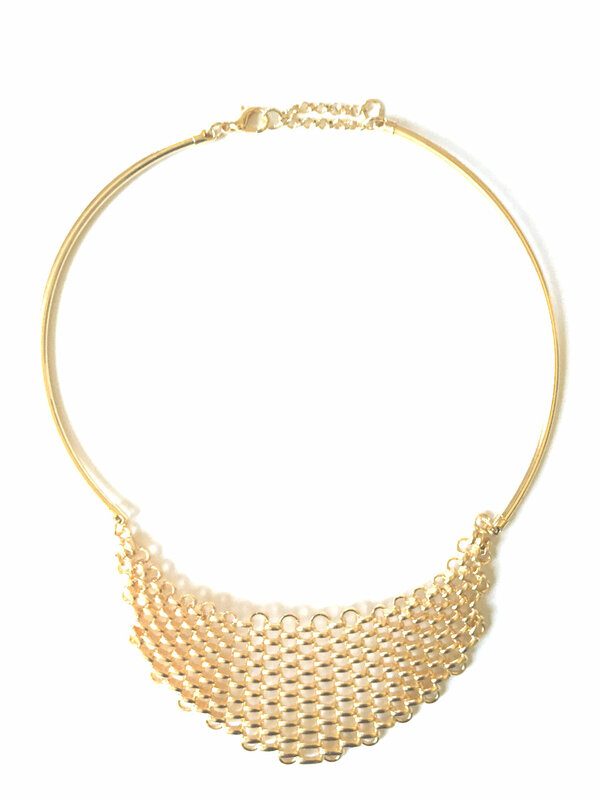 Edgy and sophisticated, this gold bib necklace makes a total bold statement. 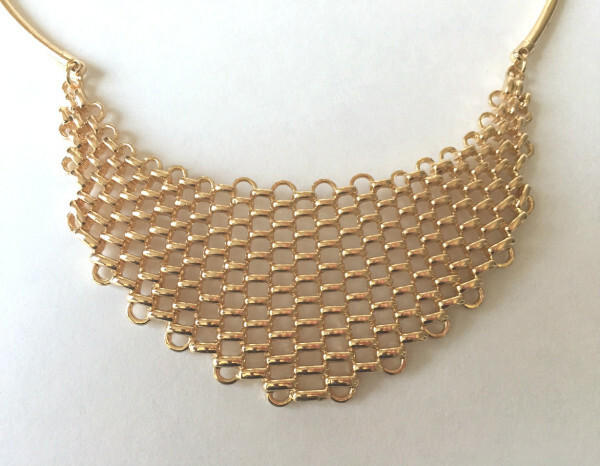 The mesh motif plated pendant is secured by an adjustable gold colored choker chain.